Could win Utah. Isn't on the ballot in Washington. Say you're a Washington state voter, like my mom or dad, who can't bring yourself to stomach voting for either Donald Trump or Hillary Clinton. If you don't want to write in anyone, you can vote for Libertarian Gary Johnson or Green Party candidate Jill Stein, of course. You can vote for Darrell Castle with the Constitution Party. If socialism is your thing you have your choice of Alyson Kennedy with the Socialist Worker's Party or Gloria Estela La Riva with the Socialism & Liberation Party. 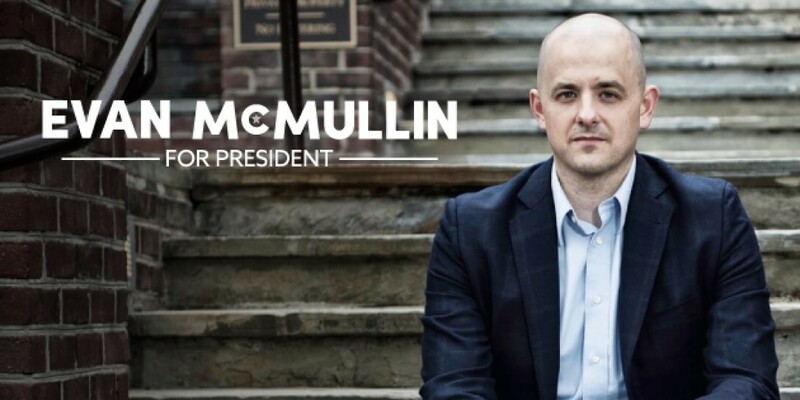 Who you can't vote for is the one third party candidate who — crazily enough — seems like he has an outside shot of winning a state: A Deseret News poll this morning showed that Evan McMullin, a conservative candidate who ran intending to be a symbolic counter to Trump, was polling at 22 percent in Utah. Not only is that a massive level for an independent, but Hillary and Trump were both polling at 26 percent. And the poll has a 4.4 percent margin of error. In other words, if this poll isn't just an insane outlier, McMullin, despite being a relative unknown, is within striking distance of winning Utah. McMullin actually has a few connections to Washington state. He grew up in rural Auburn. He was the former policy director for the House Republican Conference under Spokane's U.S. Rep. Cathy McMorris Rodgers, where he pushed a sanctions bill against Syria. Still, he's not on the ballot in Washington state. It's not particularly difficult to get on the ballot in Washington as a presidential candidate: You just have to gather 1,000 signatures at up to 10 "nominating conventions." A nominating convention can be as simple as standing on the street and signing up supporters. But there are two big catches: First, the conventions, this year, needed to be held between May 7 and July 23. And second, you needed to put out a public notice about your conventions in a newspaper in the county 10 days ahead of time. Everything, including the vice-presidential pick, had to be submitted by Aug. 5. The problem? McMullin was really late. He didn't even announce until August 10. And he didn't pick his running mate, digital strategist Mindy Finn, until last week. He still has until October 21 to declare as an official write-in candidate. So far he isn't on the long list of official presidential write-in candidates that currently includes Ameer Xenos Flippin and Paij Jean Boring. “Rocky” Roque De La Fuente has declared for the American Delta party, while Mitchell Williams has declared for the Tea Drinkers Party. Meanwhile, Reillie Alene Murphy has declared as the vice-president of the "Justice For Harambe" party, but no presidential candidate has declared in Washington. Ultimately, any and all write-ins will be stuck in a big pile, but will only be examined if they could influence the outcome of the race. Meanwhile, McMullin is on the ballot in Idaho, which had a filing deadline of August 25 for independent candidates. McMullin has a decent shot at making headway in Idaho. Like many in Utah and the southern and eastern portions of Idaho, McMullin is Mormon. While Mormons typically vote Republican, a large percentage of them have been horrified at Trump's crassness and his proposed Muslim ban. Mormons, after all, are also a traditionally persecuted religious minority.